Millennials are stereotyped in many ways. They are perceived as having a sense of entitlement, tied to their smartphones, selfie obsessed, job hoppers, digitally addicted and much more. Recruiting and keeping this generation isn’t about pampering them and “giving in.” Instead, it’s about understanding what motivates them, and addressing their differences. As for their employee benefits, millennials have low participation rates and are less likely to know about their employee benefits than other generations are. Millennials either aren’t aware of many of their benefit options, or are confused by those options — so they just don’t use them. 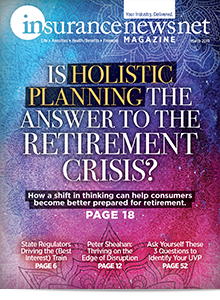 How can our industry — specifically employers and brokers — be successful in presenting employee benefits to this generation? To attract millennials, we must abandon one-size-fits-all benefits programs and one-size-fits-all, one-and-done methods of communicating about those benefits. The benefits and perks that employees truly care about are those that offer greater flexibility and autonomy as well as provide the ability to lead a better life. Millennials want benefits and perks that directly impact their lives and the lives of their family members, and they show a greater willingness to switch jobs to secure these elements, according to Gallup’s State of the Workplace Report. In fact, a surprising number of millennials will change jobs for a particular benefit or perk. 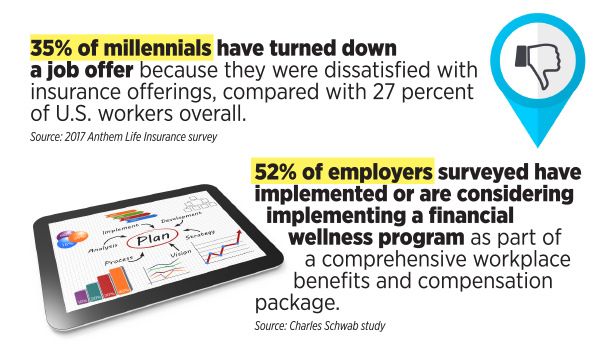 A 2017 Anthem Life Insurance survey revealed that 1 in 3 millennial workers has turned down a job offer due to insufficient or lackluster health insurance. So what benefits are important to millennials? 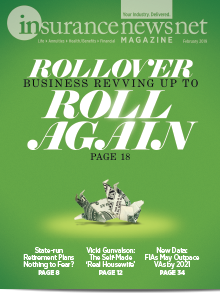 » As millennials age, the more traditional benefits become increasingly important to them. In addition, millennials want more than the usual benefit mix of medical, vision and dental coverage. As more millennials begin to get married, purchase homes and start families, they slowly are warming to the idea of disability coverage. 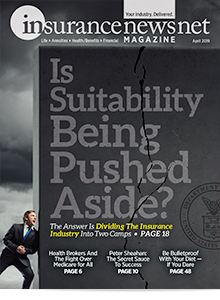 » Millennials expect a broader range of health care services than is offered to them currently. 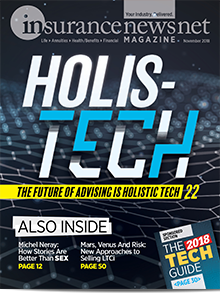 They are not opposed to paying for high-tech and high-touch health care experiences, such as an on-camera visit with a doctor or an app that enables a consultation with specialists, according to an Oliver Wyman study. Further, social support matters to millennials just as much as technology does, as millennial respondents ranked the desire for an in-person consultation with a patient advocate expert the same as they ranked the desire for wearables that monitor their health and wellness. 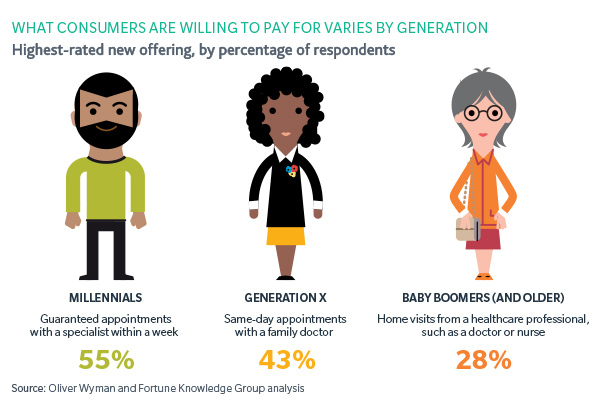 More than half (55 percent) of millennials surveyed in that study said their most desired health care offering is to obtain guaranteed appointments with a specialist within a week. » Being an “on-demand” generation, millennials have an affinity for being offered lots of options and being able to choose what they want. This certainly applies to their employee benefits as well. By offering a variety of voluntary benefits, employers can provide a means for millennials to customize their benefits package, choosing options that are important to them. Among the voluntary benefits that appeal to millennials are identity theft protection, critical illness insurance, student loan repayment programs, pet insurance and employee purchase programs. » With the amount of student loan debt that most millennials carry, it’s no wonder that student loan repayment programs are a powerful incentive for their recruitment and retention, yet only 4 percent of employers offer this assistance, according to the Society for Human Resource Management (SHRM). » Of all the generations, millennials are the most amenable to participating in financial education programs. SHRM reported that 92 percent of millennial employees surveyed said they would use such a wellness program at work if offered one. This presents a great opportunity for employers and for brokers to bring to their attention. Although financial wellness programs have not yet reached the level of penetration of other long-standing benefit offerings, a Charles Schwab study showed that 52 percent of employers have implemented or are considering implementing a financial wellness program, and 44 percent believe that a financial wellness program is becoming a “must-have” benefit in order to be competitive. In addition to financial education programs on budgeting, debt management, buying a home and starting a savings plan, benefits such as employee purchase programs and employee discount programs help millennials access products and services they need and want in a more financially disciplined manner. 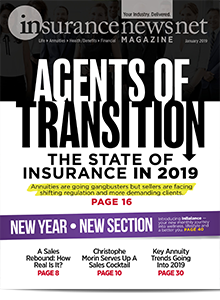 Because participation in employee benefit programs is generally lower among millennials than other age groups, employers and brokers must use benefits communications methods that appeal to millennials. It’s also important to communicate frequently with millennials throughout the year, not just during open enrollment time. Tailoring communication messages specifically for millennials involves providing information in bite-sized portions. Plus, millennials need more than information — they need to see the value. Offering an explanation or illustration on why a particular benefit matters and how it will help them now or in the future goes a long way toward showing the value to millennials. In addition, providing total compensation statements can increase millennials’ benefit usage by creating a clear understanding of the package value. Millennials won’t pay much attention to some of the usual ways companies share benefit information, such as mass email and direct mail. 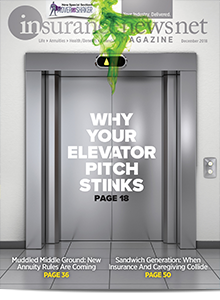 Unlike other generations, for which “push” communications worked just fine, millennials want “pull” communications. And it’s no surprise that technology is the key to communicating benefits with millennials. They want access to information all the time, via mobile, tech-friendly products that fit with their lifestyles. They want to self-service their benefits on their time and in their own way. Millennials also value personal conversation and content coming from familiar sources — such as managers and peers. Millennials will pay far more attention to communication from their peers and managers than they will from their company’s CEO or vice president of human resources. 1. Highlight benefits that make the most sense for millennials, and provide the information in bite-sized portions. Lay out content so it is easily scannable. 2. Since millennials like bite-sized pieces of information, give it to them in their daily social media platforms and feeds where they can quickly scan and click embedded links to a site where they can take action. Capture their attention via texts, ad tiles, banners and videos. 3. Personalize and humanize messages as much as possible. Address millennials directly, using the word “you,” rather than in the third person. Include real-life benefit examples that allow millennials to better understand. Hearing from their peers can make an impact, so create a brief video of a millennial employee talking about a specific benefit. 4. When communicating benefits to millennials, highlight ease of use and digital mobility features. For example, many may not realize that some consumer-directed benefits, including health savings accounts and flexible spending accounts, can be easily managed by downloading an app. 5. Reach out to millennials using communication methods and technology that they use — such as text messages, gaming and videos.